50 minutes of explosive, high-intensity training! 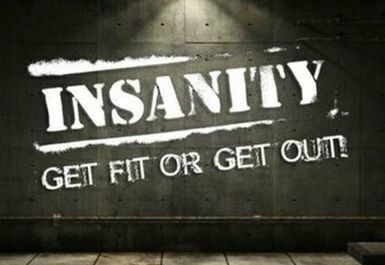 INSANITYs high-intensity activity forces the body to work for longer periods of time at a higher capacity than traditional workouts. As a result, people experience faster increases in cardiovascular fitness, and burn carbohydrates and fat more efficiently, as much as 1,000 calories per hour! 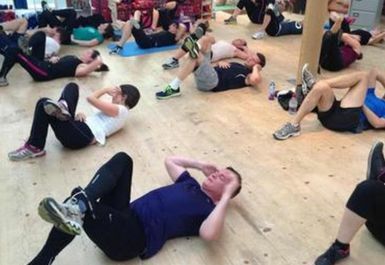 The class is made up of three elements (endurance and plyometrics, strength and balance, agility and co-ordination) with a great core workout at the end.